Denver’s light rail stop at W. 10th Avenue and Osage Street was called the “station to nowhere.” Photo/ Cassidy James Blaede, Google Maps. Equitable transit-oriented development projects can help cities like Denver improve the health of their community. The only thing in the immediate vicinity of the station, which sits just outside downtown Denver in the Lincoln Park neighborhood, was a 254-unit public housing project. When the DHA began a major redevelopment of the Mariposa complex into a large mixed-income community, staff prioritized better use of the station at 10th and Osage, and of transit in general. The Mariposa project is on the front lines of a rapidly growing movement seeking to reconnect low-income residents to the critical networks — transit, affordable housing, jobs — that are the cornerstones of opportunity. By centering development efforts around a transit stop, planners are hoping to reinvigorate a neighborhood by connecting its residents to integral supports and services, from hospitals to schools to grocery stores , all while paying heed to the risks of gentrification and displacement. The Mariposa project is on the front lines of a rapidly growing movement seeking to reconnect low-income residents to the critical networks. And as Denver knows, it cannot be done successfully without resident input. 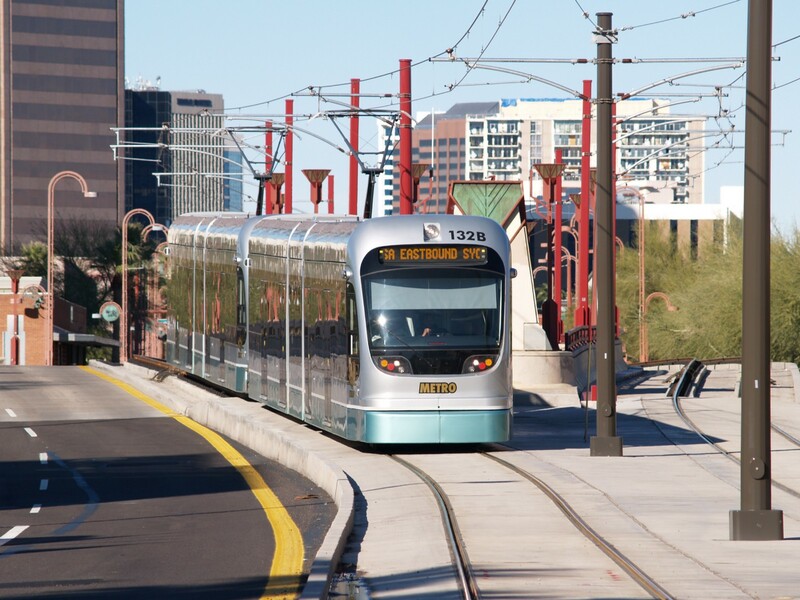 The legacy of transportation planning policies, Stephanie Gidigbi, director of strategic initiatives and policy advisor at the U.S. Department of Transportation, told residents in Phoenix as they prepare to expand a rail line, is a tragic one. Policies, such as building freeways through low-income communities, have left those communities sliced off from jobs, good schools, and other services. The Mariposa District, looking toward the W. 10th Avenue & Osage Light Rail Station. Screenshot/ Google Maps. 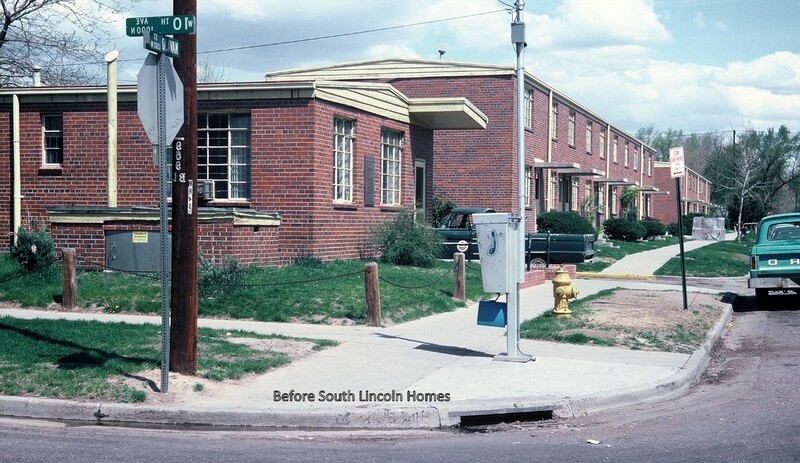 Denver officials began thinking about redeveloping the South Lincoln Homes and station area more than a decade ago. The isolated community was cut off from economic opportunity and had become a zone of concentrated poverty and high crime rates. 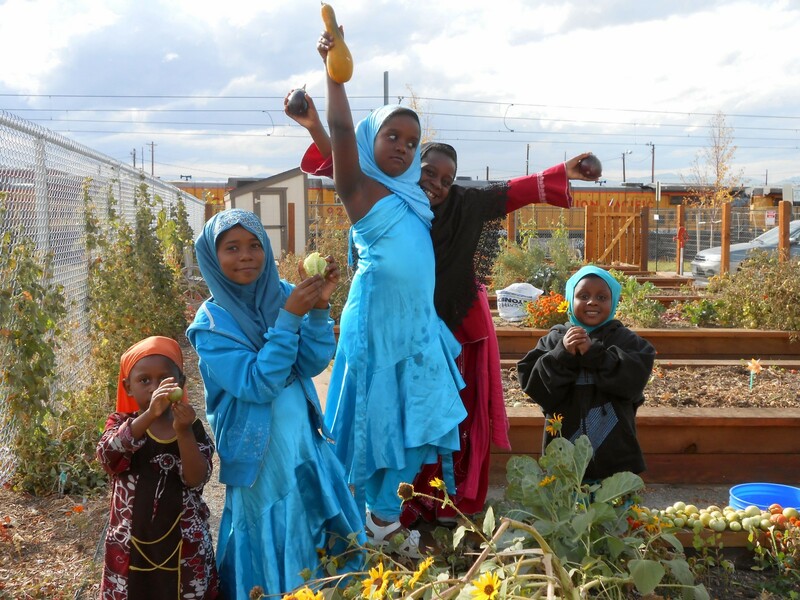 In 2009, collaborating with funders and community development partners like Enterprise, the DHA received funding to create a healthy neighborhood with connections to the world outside of it. The Mariposa project rebuilds all the existing public housing units, and adds tax credit–supported affordable units and market-rate units in equal number. Whereas many mixed-income projects segregate public housing residents from those paying market rates, each Mariposa building will house people of all income levels. Also distinct, the DHA began construction on the new units before demolishing the existing buildings, so the current residents who wanted to remain on site during the project could do so. It was clear from the get-go that this project was unusual and would require significant consideration of the community who had long called the neighborhood its home, Picard, director of workforce development and community initiatives at the DHA, said. The residents told the developers that they felt strong connections to the local school and nearby services. 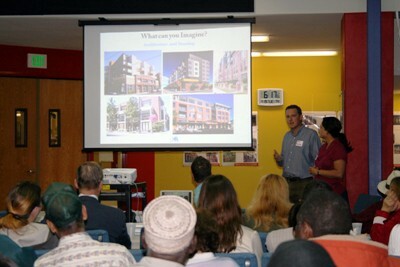 The DHA hosted more than 150 community meetings to gather suggestions and concerns from residents. But staff found that this traditional method of community engagement did not reach the entire, largely immigrant population. Sometimes they had to walk around the site, having casual conversations with residents who weren’t inclined to show up at a meeting. Sometimes residents’ English-speaking children served as translators. The DHA and its partners also conducted a health impact assessment (HIA), a thorough look at the likely effect of a proposed project on a population’s health. The process allows policymakers and developers to collect data on health conditions, to better understand how to improve community health and avoid exacerbating current issues. “In the beginning, at that point, we didn’t know of any other housing authority [looking at] health in conjunction with redevelopment,” Picard said. But in recent years, the practice of conducting HIAs — for a variety of development, transit, utility, and land use projects — has increased. The Mariposa tool identifies six dimensions of a healthy community, offering indicators and recommended strategies for achieving each. Although HIAs are usually conducted once, at the beginning of a project, the Mariposa planners wanted to track indicators of health throughout the project and after its completion. 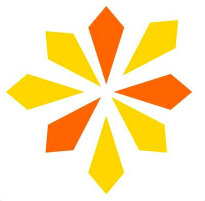 Using the San Francisco Department of Public Health’s Healthy Development Measurement Tool as inspiration, the DHA and consultant firm Mithun created the Mariposa Healthy Living Tool, which culls data from a variety of sources to track progress and re-evaluate project priorities. Part of a guide available to others working in community development, the Mariposa tool identifies six dimensions of a healthy community, offering indicators and recommended strategies for achieving each. The tool considers healthy housing, environmental stewardship, social cohesion, public infrastructure, a healthy economy, and sustainable, safe transportation to be vital aspects of equitable TOD. Using insight from the Healthy Living Tool, the DHA and its partners considered the role of transit in the broader neighborhood landscape. The tool helped them identify needs for fresh food and youth services in the neighborhood, so Picard and her staff started the Osage Café, a nonprofit, affordable restaurant with healthy options close to the Mariposa development. Teenage residents can intern and ultimately work at the café. These and other investments have brought the 10th and Osage stop — the “station to nowhere” — to life once again. More outsiders are visiting the neighborhood, Picard said, and more residents are venturing beyond it — thanks to a partnership with the Regional Transportation District that provides reduced fares to low-income tenants. Equitable TOD aims to pair affordable housing with transportation, to boost access to jobs and reduce isolating and unhealthy sprawl. “By developing or preserving affordable housing and encouraging locating jobs near transit, equitable TOD can minimize the burden of housing and transportation costs for low income residents and generate healthier residents, vibrant neighborhoods and strong regional economies,” wrote Melinda Pollack of Enterprise and Brian Prater of the Low Income Investment Fund in a 2013 report on financing equitable TOD. 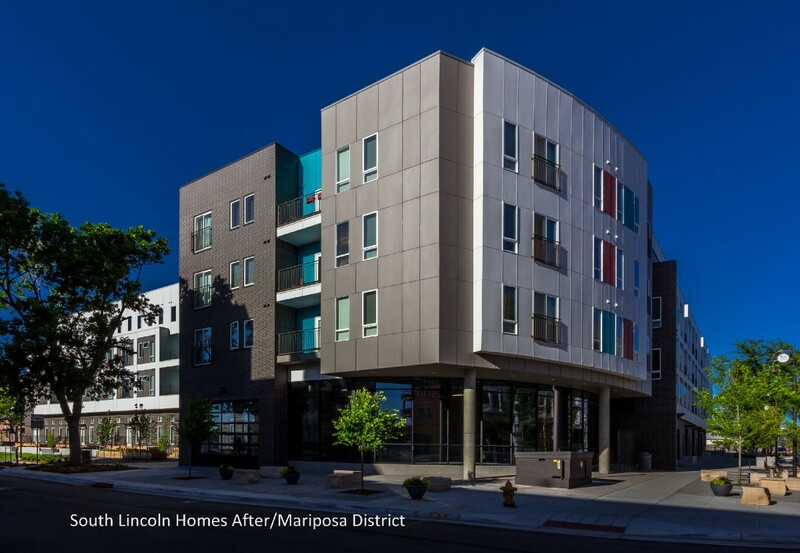 With the Mariposa project, Denver has been at the forefront of a national movement supporting investment in equitable TOD. But the Mariposa planners found that equitable TOD requires more than sheer proximity to transit. By connecting residents to nutritional food options and health care, and reducing car pollution, transportation can improve community health. Yet without a comprehensive approach, community developers may find that residents remain unable or disinclined to use public transit. The 10th and Osage stop did not become a “station to somewhere” until a holistic plan addressed the community’s unique needs and considered how they intersected with transportation. 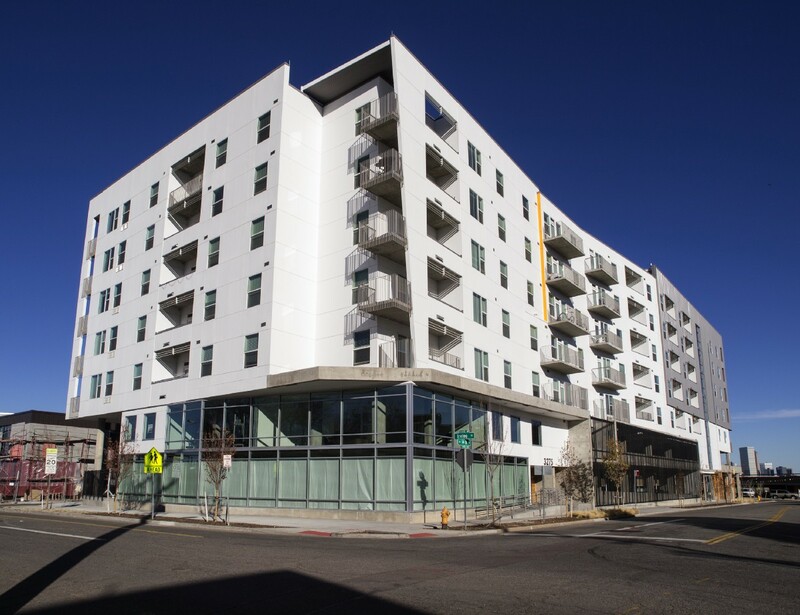 With the Mariposa project, Denver has been at the forefront of a national movement supporting investment in equitable TOD. As the city undergoes the largest public transit expansion in the country, officials and funders have found they can — and must — take advantage of new opportunities to increase access and equity. According to some accounts, support for transit and TOD is sorely needed in the city. A recent New York Times article on a proposed highway reconstruction in Denver chronicles the significant health effects of the city’s existing highways on the poor neighborhoods they run through. Kids living by the main highway are hospitalized for asthma 40 percent more often than those in Denver overall. Death from heart disease is also much higher in the surrounding neighborhoods. A woman whose entire family has asthma says her kids’ childhoods “were robbed of them” in the Elyria-Swansea neighborhood by Interstate 70. Her own health struggles prevent her from working enough hours to earn the money needed to move, so the cycle of poor health and poverty continues. Though TOD is clearly needed, funding is often complicated. In 2010 Enterprise, the City of Denver, and regional philanthropies and private investors banded together to launch a unique fund. 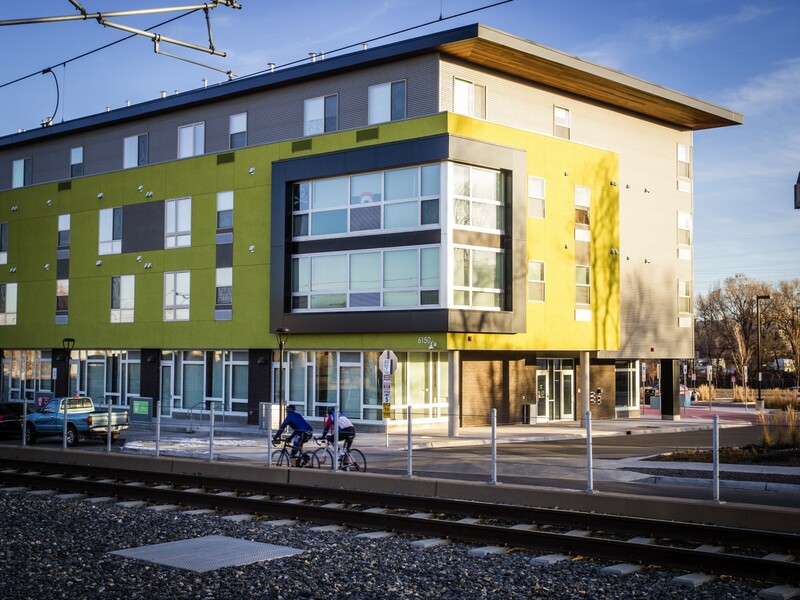 The $24 million Denver Regional Transit-Oriented Development Fund offers loans to developers of affordable housing and related commercial space close to transit in seven counties. By spring 2016, the fund had supported more than 1,100 affordable housing units. The administrators of the fund look for projects with a comprehensive approach to health and economic opportunity. “When we invest with the Denver TOD fund, one of the sets of indicators we screen for over time is access to health care, and health disparities,” said Pollack, vice president of TOD at Enterprise. Enterprise has also invested repeatedly in the Mariposa project, calling it “a leading, shining star of what health in the built environment can look like,” Pollack said. 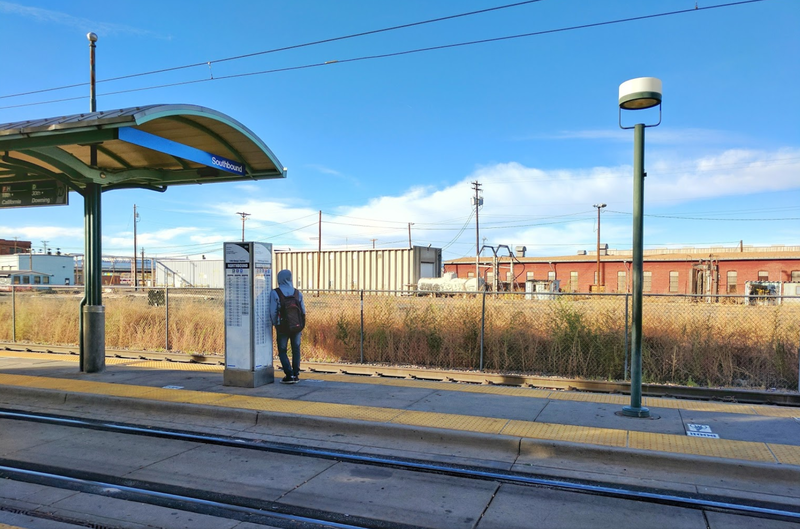 The Denver TOD fund was one of several efforts that gave rise to Mile High Connects, a public-private partnership promoting access to housing, work, education, and services via transit. Denver, with Mile High Connects as the lead, was recently one of six metro areas selected for the Strong, Prosperous, And Resilient Communities Challenge (SPARCC). A new $90 million national initiative, SPARCC is a broad-based effort bringing together LIIF and Enterprise, but also the National Resources Defense Council (NRDC) and the Federal Reserve Bank of San Francisco and a number of foundations — all in support of equitable community development, often with a strong TOD focus. Exemplifying SPARCC’s goals, the partners in Mile High Connects pool their diverse expertise and resources, with an emphasis on reducing socioeconomic and racial disparities in access. Mile High Connects is working with the Regional Transportation District to implement a systemwide reduced-fare program for low-income riders, possibly within a year. Similar programs are in place in King County, Washington, and elsewhere. The Bay Area TOAH fund is supporting development of this parking lot into affordable family housing. The site is two blocks from the Market Street transit corridor and the Powell Street BART station. Screenshot/ Google Maps. And Denver is not the only place where diverse community development practitioners have leveraged regional transit expansion to push for equitable TOD. The $50 million Bay Area Transit-Oriented Affordable Housing Fund is financing affordable housing and other vital community services near transit lines throughout the Bay Area. The fund provides developers more flexible capital to improve property near transit lines for affordable housing, retail, child care centers, fresh food outlets and health clinics, among other critical supports. 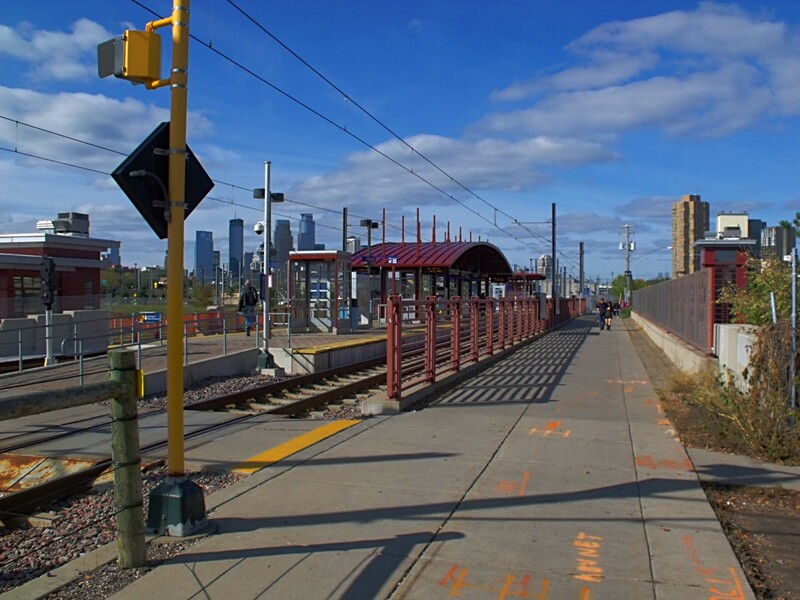 In Minnesota’s Twin Cities, the 2011 Corridors of Opportunity initiative attracted investments and government support for affordable, accessible development and planning near seven proposed or existing transit routes. Securing an award from Living Cities’ Integration Initiative and a Sustainable Communities grant from the US Department of Housing and Urban Development, the cross-sector group created a loan fund and conducted policy research. By 2014, Corridors of Opportunity had invested in 631 mostly affordable multifamily housing units and provided grants to community organizations serving more than 20,000 people. The Franklin Ave Station of the Hiawatha Line in Minneapolis, Minnesota. Photo/ Bobamnertiopsis. Across the country in Phoenix, LISC is spearheading a TOD development in the South Central Corridor, an area with high poverty rates and even higher disinvestment. The number of households in the region are three times less likely than others to own a car, according to LISC. The corridor has been waiting for decades for a transit stop, and recently the city agreed to speed up the planned stop. Originally planned for 2034, the transit stop is now scheduled to open in 2023. In Atlanta, an equitable TOD plan makes innovative use of excess parking space at the Edgewood-Candler Park transit station. The plan includes new, mixed-income multifamily housing at the site, which is in a diverse neighborhood considered to be at high risk of displacement and gentrification. 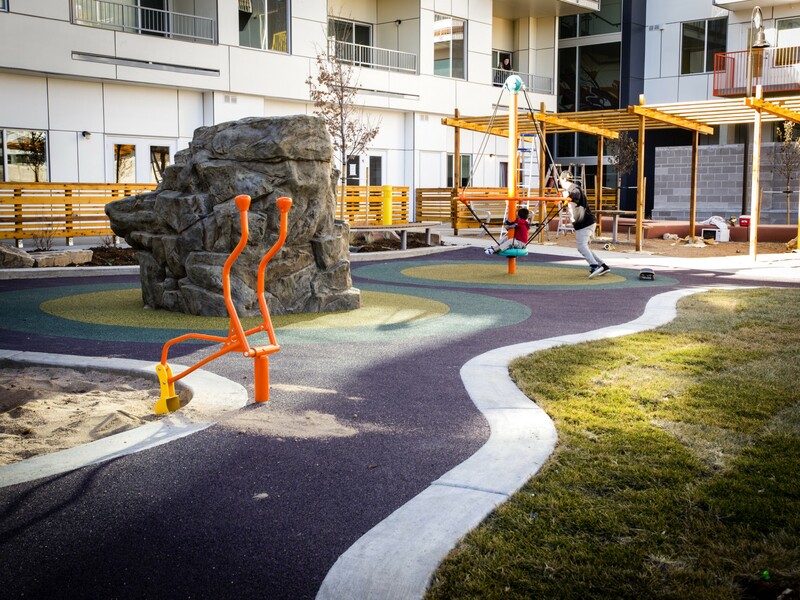 As in Denver, the project focuses on more than a basic housing-transit connection; it aims to allow residents to live healthy, stable lives. Philanthropic investors have recently redeveloped a school-based health clinic, helped preserve existing affordable housing, and purchased single-family homes to stop the tide of foreclosure. A youth development organization is slated to move into a new performing arts center on the site of an underused parking lot. These disparate projects have a common thread contributing to their success. In each, developers have made a deliberate effort to ensure that access to transit benefits everyone in the community — including those from historically disadvantaged groups. That extra work — bringing together sustainable investments, collecting input from the community affected by a project, collaborating with groups from different sectors — is what makes an equitable TOD project live up to its name. This article is part of Crosswalk, a gathering place for stories that illustrate the deep connection between health and place, curated by the Build Healthy Places Network. Sign up for the Network’s monthly newsletter, the Pulse, here.